In an attempt to get a few more days out of this summer, I decided to take a detour yesterday and stopped to explore Harbin Park in Fairfield. 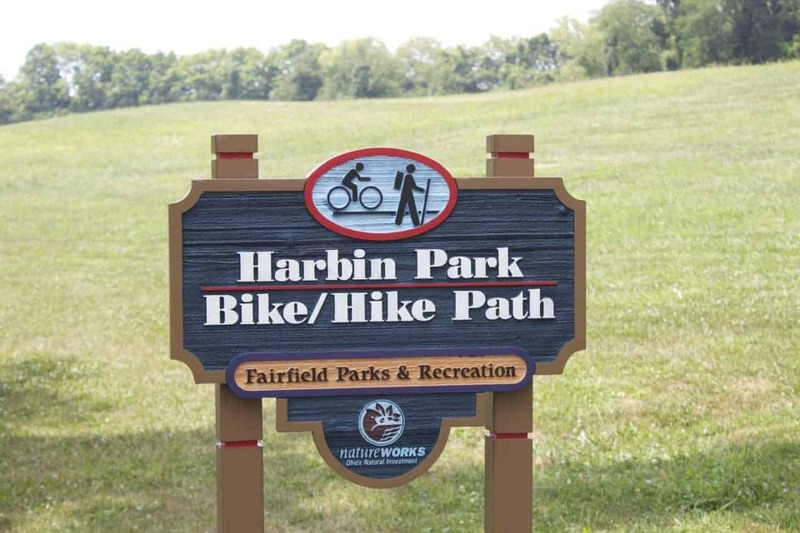 Harbin Park sits at the end of Hunter Road in Fairfield. 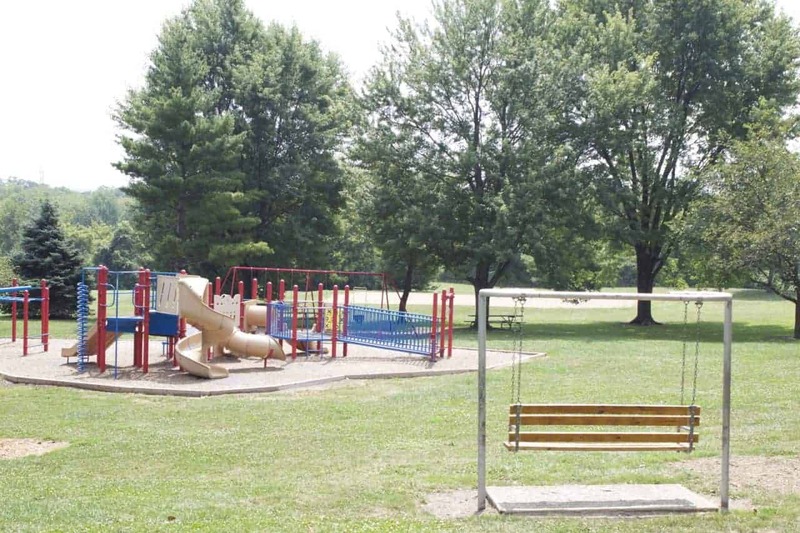 It’s a rather large park (Fairfield’s largest in fact), weighing in at 161 acres. Most notable for this park? 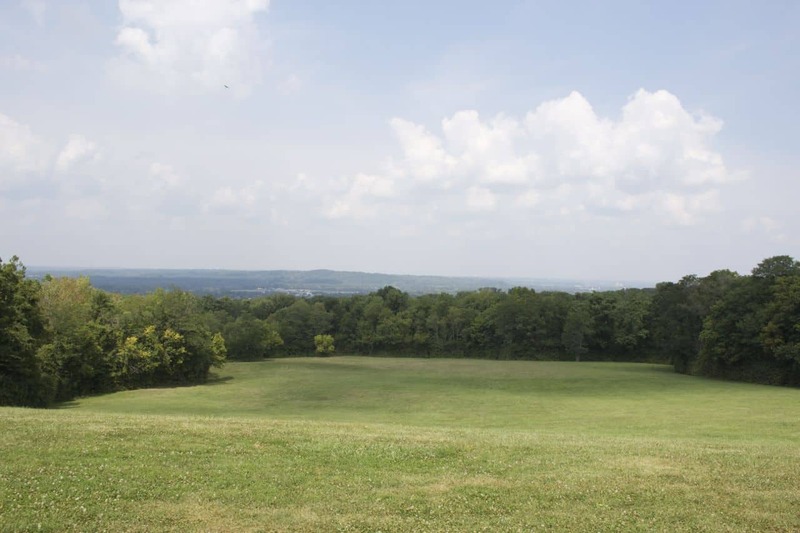 Expansive fields of green and gorgeous rolling hills with overlooks. Word to the wise – I know this isn’t a good time to bring up the white death stuff but put this one on the books for sledding. This is one long hill with a pretty decent slope. AND the park allows sledding, actually they encourage it by putting it on their park signs. One bonus to the trail I took (for a minute) is this discovery – they have mountain bike trails that go through the woods. For the less adventurous, there is also a paved path for walking and biking. Guess I should have stuck with that! 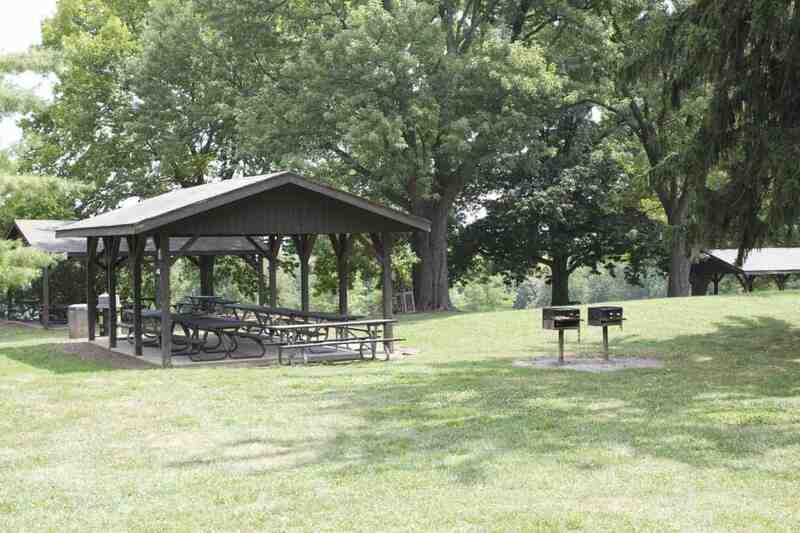 This park sports a number of covered picnic areas. Seriously, for the size of this park they have a huge number of covered areas for picnics. Most have a few grills nearby. I should note that the city of Fairfield does charge for use of the covered areas so be sure to check out the details before you head out there for a big party (link below). 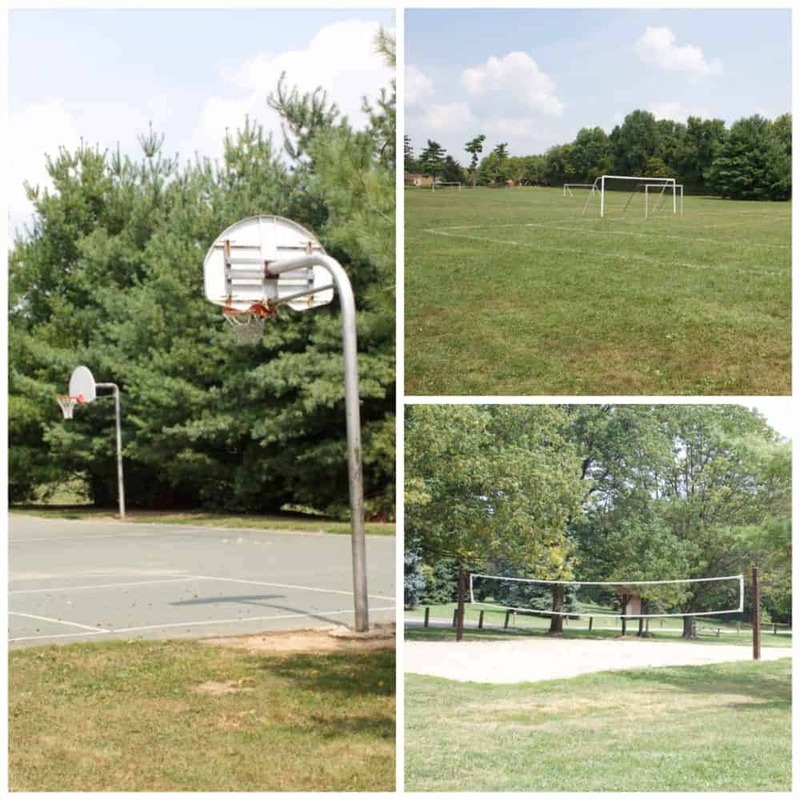 This park has numerous flat grassy areas which would be great for soccer or other field sports. There’s a disk golf course, basketball courts, tennis courts, a baseball diamond, and sand volleyball courts as well. And for the kid in you (or the ones who that insist you let them tag along), there are a few play structures as well. at the time of this post (August, 2013) there is no admission fee or park sticker required = free!